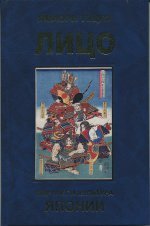 The book of the well-known contemporary Japanese scholar Yamaori Tetsuo deals with various aspects of Japanese culture while narration is centered around the specific iconographic element - facial expression. The author analyses iconographic materials of different historical periods and religious traditions. Focusing attention on the faces of Japanese sculptures (from early dogu and haniwa to the statues by Enku and Mokujiki), the portraits of Buddhist monks, medieval warriors and aristocrats, theater masks and first Japanese photographs, Yamaori Tetsuo touches upon such significant issues as the particularity of the Buddhist and Shinoist world views, the origins of Japanese race, the role of the image of “an old men” in the culture, the mentality of the medieval warriors, the aesthetics of the Edo period. Written in a vivid and easy for comprehension manner the book is intended for the wide audience of readers.